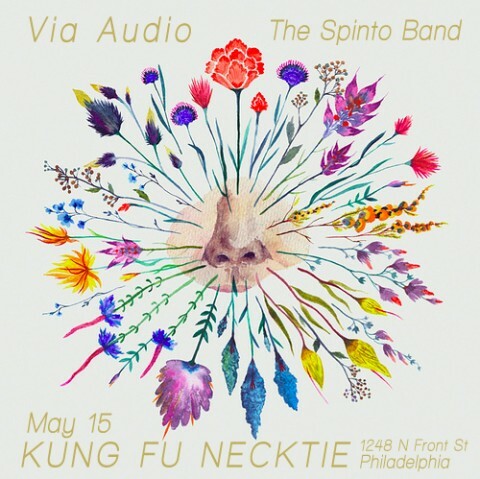 Via Audio made a semi-rare performance, as of late, at Kung Fu Necktie on May 15th, 2012. The Brooklyn-based band has been on somewhat of a hiatus recently but put forth an energetic and fun performance on this night. This break is to be short lived as a new album is due out this year and will add to their existing catalog of two LP’s and one EP. 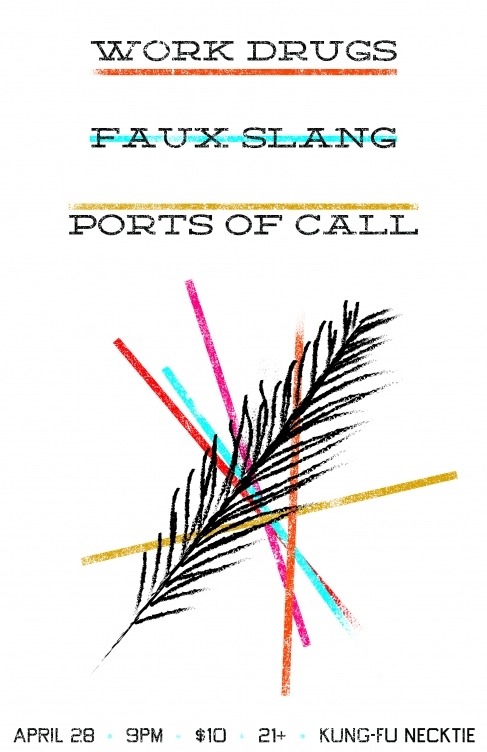 Comprised of Tom Deis on Vocals and Guitar, David Lizmi on Bass and Synthesizer, Jessica Martins on Vocals, Guitar and Synthesizer, and Adam Sturtevant on Drums, Via Audio constructs a lauded (see Pitchfork, Tiny Mixtapes, Spin, Alternative Press) amalgam of indie pop sounds. We like these guys because the enjoyment they receive from playing is clearly evident in their stage presence. Guitar work and synths drip with catchy cords. Vocals compliment these nicely and bass and drum work round out the sound perfectly. Dirty Beaches is Alex Zhang Hungtai and Alex is Dirty Beaches. The boutique label holy-grail maker engineers tracks of dirty croon-filled depths. His stage presence has an amalgam of personifications peering through it; although, their intention is rightfully mysterious. We saw glimpses of Chuck Berry and Elvis through the dimly lit stage and sludgy tracks. Based out of Canada, Dirty Beaches comes through Philadelphia several times a year and we are damn lucky for it.